The wedding ceremony is always a special ceremony in every Vietnamese family. 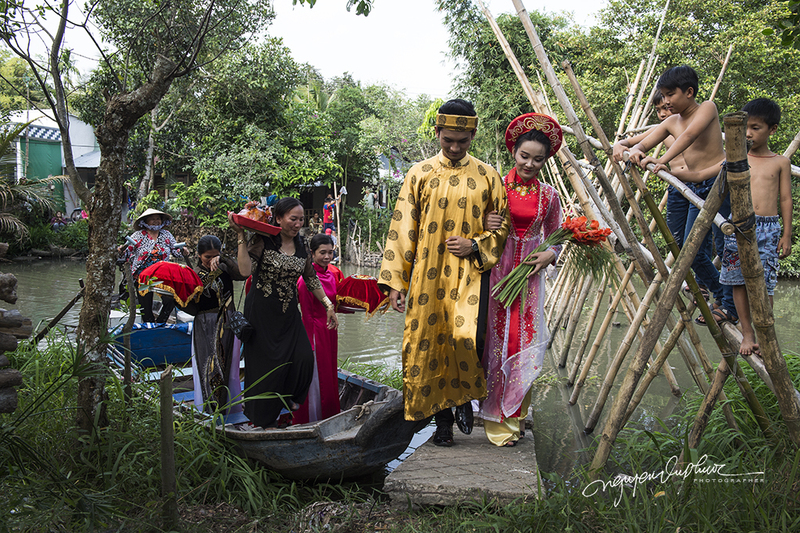 Although there is no history record of these South marriage procedures, but thanks to the form of word of mouth, traditional ceremonies are preserved and promoted to this day. 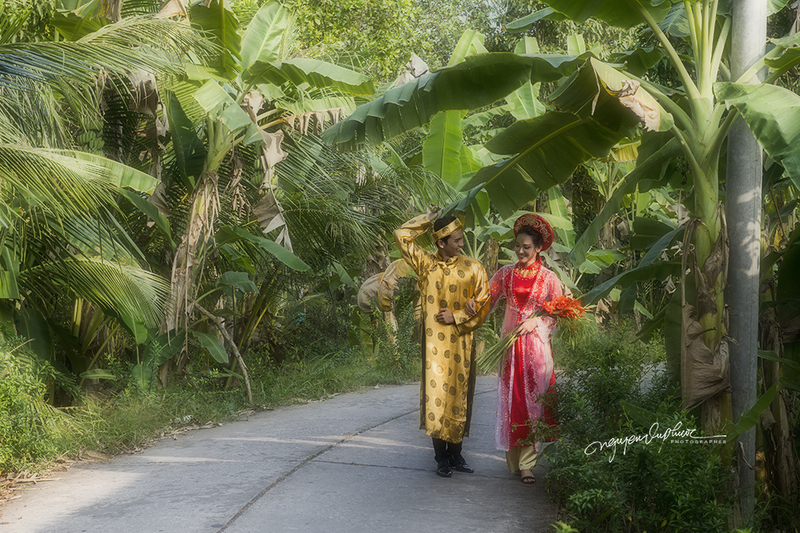 The wedding ceremony is an occasion to show the traditional quintessence and features of Vietnamese national culture. 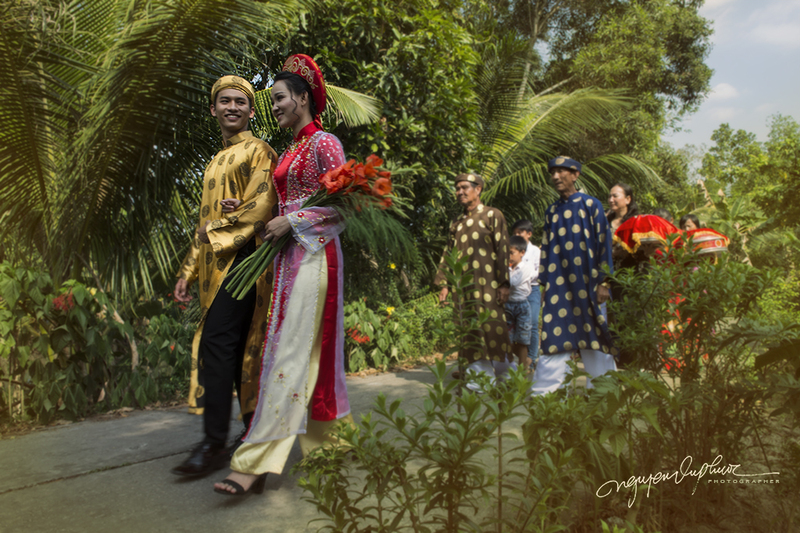 Weddings in Vietnam include rituals bearing the traditional culture, however in each region, they have a distinctive feature. Procedures for marriage in the South, where the people have a liberal personality, the rituals are made quite more relaxed and gentler, but still need to ensure solemnity and sacredness. Starting from Sai Gon to Can Tho at 6am - taking photos along the roads of the fields, the people living in the local areas (My Tho -Vinh Long). Having breakfast at My Tho. Having lunch in Can Tho. Checking in hotel and taking photos of a Chinese temple in Can Tho. Having dinner in Can Tho, taking photos of sunset scene on the Mekong River with boats parked at the river dock. 4:00 Moving from hotel to shooting place. 5: 30- 7:30 Taking photos of sunrise scene on the river, in which there is a scene of “bridegroom's family” going to pick up the “Bride” on the river boats moving through the small riverside with the charming countryside landscape. 8:30 9:30 Taking pictures of the bridegroom’s family at the bride’s house and simulating the wedding rituals. 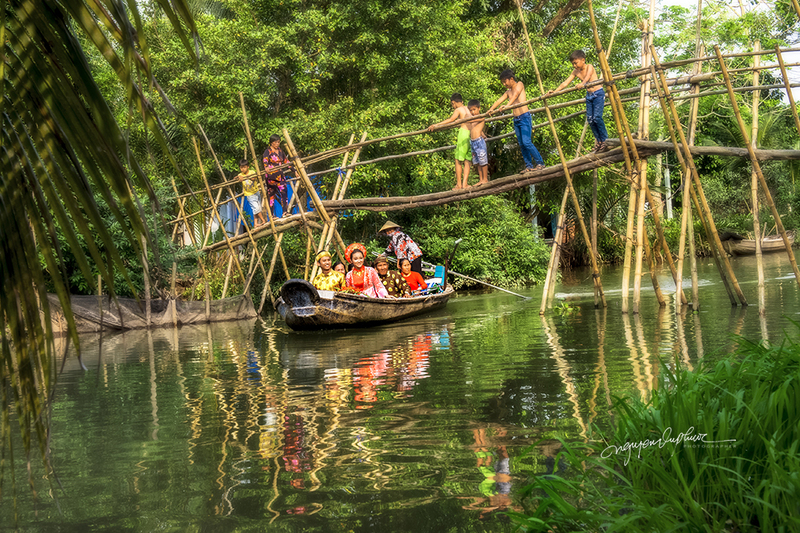 9:30 11:00 Taking pictures of the bridegroom's family picking up the bride on a boat through the river. 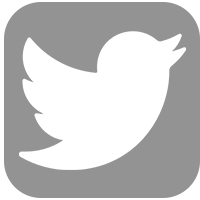 11:30 Guests join the reception with the two families in the form of real wedding. 13:00 Finishing and bringing guests to Saigon.